Interesting comparison between Malaysia and South Korea in reacting to national tragedy. BN government still doesn’t get it. Acting Transport Minister actually proud that Malaysia acted “faster” than France in dealing with a similar tragedy! France, however, found its missing plane but where is MH370? What a disaster for the families of the passengers of MH370 and what a disaster for the people of Malaysia. Bloomberg columnist William Pesek criticised Prime Minister Datuk Seri Najib Razak and Putrajaya in their handling of the search for MH370. – The Malaysian Insider pic, May 2, 2014.Putrajaya was once again slammed by a Bloomberg columnist who compared Malaysia’s handling of the MH370 saga with South Korea’s response to the recent Sewol ferry tragedy. “The grades so far? I’d give Korea an A-, Malaysia a D,” he said in his Bloomberg column titled “One missing jet, one sunken ferry, two responses”. “President Park Geun Hye issued a dramatic and heartfelt apology. Her No. 2, Prime Minister Chung Hong Won, resigned outright. Prosecutors hauled in the ship’s entire crew and raided the offices of its owners and shipping regulators. Citizens and the media are demanding speedy convictions and long-term reforms,” he said. “No officials have quit. 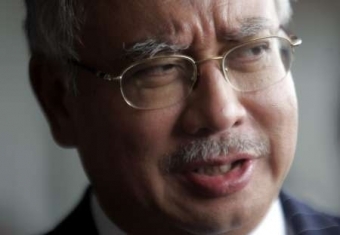 Prime Minister (Datuk Seri) Najib Razak seems more defiant than contrite. The docile local news media has focused more on international criticism of Malaysia’s leaders rather than on any missteps by those leaders themselves,” he said. “One party has dominated Malaysia since independence, while Korea, for all its growing pains and occasional tumultuousness, has seen several peaceful transfers of power over the past quarter-century. “Unused to having to answer critics, Malaysia’s government has responded defensively. “Korean officials, on the other hand, are reflecting, addressing the anger of citizens, and delving into what went wrong with the shipping industry’s regulatory checks and balances,” he pointed out. Pesek said Tun Dr Mahathir Mohamad, who was the prime minister then, had blamed the ringgit’s plunge on some shadowy Jewish cabal headed by George Soros instead of internalising what had gone wrong. Pesek said while South Korea’s response wasn’t perfect, the country’s economic performance since then speaks for itself. “Now as then, Korea’s open and accountable system is forcing its leaders to look beyond an immediate crisis. Ordinary Koreans are calling for a national catharsis that will reshape their society and its attitude toward safety. Park’s government has no choice but to respond. “Malaysia’s government, on the other hand, appears to be lost in its own propaganda. “To the outside world, acting Transport Minister (Datuk Seri) Hishammuddin Hussein performed dismally as a government spokesman: He was combative, defensive and so opaque that even China complained. “Yet Hishammuddin is now seen as prime-minister material for standing up to pesky foreign journalists and their rude questions. The government seems intent on ensuring that nothing changes as a result of this tragedy. “As hard as it seems now, South Korea will move past this tragedy, rejuvenated. Malaysia? I’m not so sure.” – May 2, 2014.